This article, published in Israel21c on September 1, 2016, describes the amazing diversity of Israel’s emergency medical first-responders and search-and-rescue personnel. This story helps us envision a future where people-to-people connections have helped build peace. 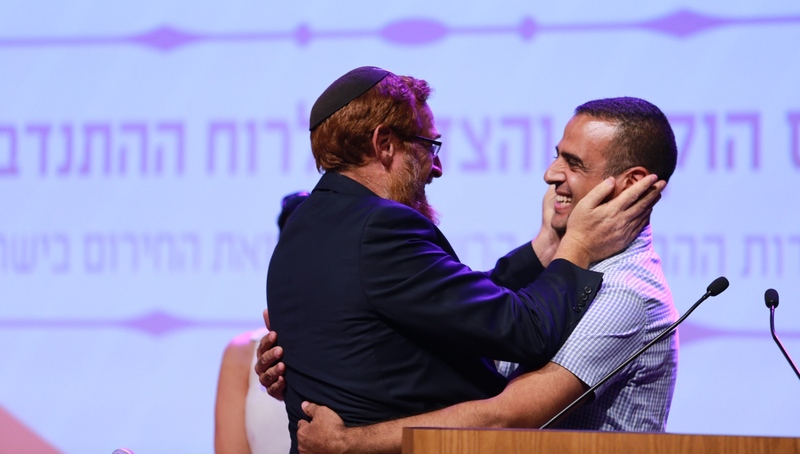 An unusual hug caused thunderous applause at a recent Knesset ceremony saluting Israel’s emergency medical first-responders and search-and-rescue personnel. Parliamentarian Yehudah Glick, who survived an Arab shooting attack two years ago, spontaneously climbed onto the podium to embrace Kabahah Muawhiya, an Arab-Israeli volunteer EMT with national volunteer emergency medical services organization United Hatzalah of Israel. Many people are surprised to learn that Arab citizens volunteer and work for the Israeli emergency response organizations Magen David Adom (MDA); ZAKA and United Hatzalah. For the first-responders, it’s only natural that representatives of all Israel’s population groups would cooperate to save lives. Rishek and Muawhiya are among about 300 Muslim, Druze and Christian United Hatzalah volunteer EMTs, paramedics and doctors out of a total of some 3,000 who race to calls in their own neighborhoods. “Khaled is one of our most active volunteers,” says United Hatzalah founder Eli Beer, who shared a $10,000 peace prize with his Arab coordinator, Murad Alyan, in 2013. Dikdik is responsible for the whole East Jerusalem area for MDA and speaks Arabic, Hebrew, English, Yiddish and Russian. He has worked with MDA for 12 years and recruits teens from Shuafat to take MDA’s first-aid course. 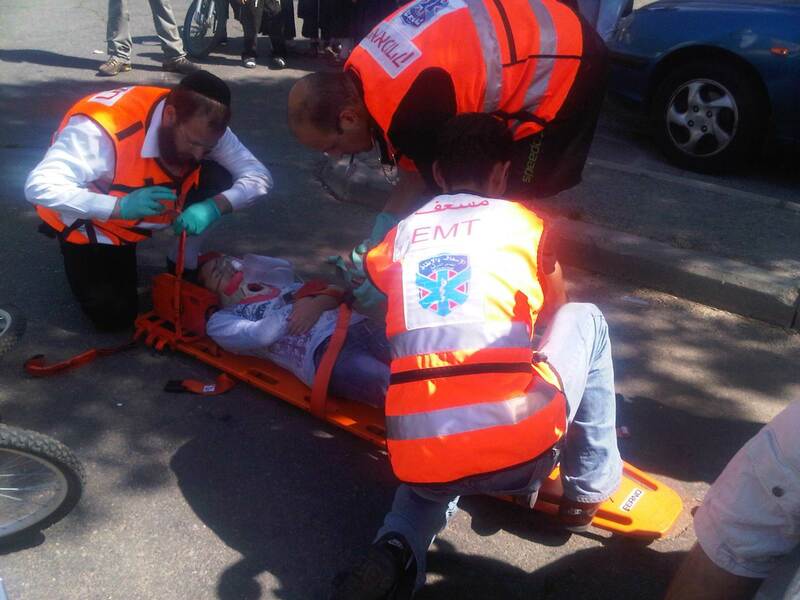 In August 2015, MDA senior paramedic Ziad Dawiyat, an Arab-Israeli, went to assist a laboring mother in Jerusalem – the same woman whose fatally injured infant he had transported to the hospital the previous October following a terror attack. You can read the full article in Israel21c.